My rules for Oasis albums seem to be, somewhat unconsciously perhaps, different than the ones I have for others. I've always seen them as my band - from the first minute I was caught by Shakermaker. They are the band who have meant most to me since my teens. I expect them to dazzle me immediately, I expect their songs to root their way into my head on first play, I expect them to, simply put, produce better albums than any other British band. Since Be Here Now their releases have taken a familiar turn and style. Like Arsenal, they start off strong and blast forward at pace. They take the lead and make your head spin with follow-up play. But then they run out of steam and flatter to deceive. The first half of their last three albums has followed this football analogy. They start off with passion and quality yet by the end, or even the middle, you're disappointed because their potential remains unfilled. Like Arsenal, they are frustrating to witness. They have it in them for greatness but can't get there. But what else is it that keeps fans going, keeps them coming back, other than sheer faith? 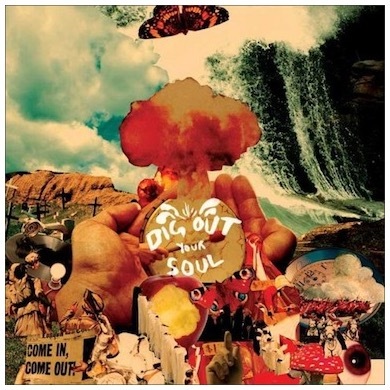 I approach each new album with hope and excitement and finally, tentatively, it appears the faith is some way toward being thanked with their new, seventh, album, Dig Out Your Soul. The last three records have left my CD player faster than I would like. I didn't feel there was enough in there to keep listening; this time it feels different. Could they finally, say it quietly, have made a mature album? I never minded that they lacked depth, that their lyrics were poor, it was the songs that mattered. I can go through an album being lyrically unfulfilled if the songs dazzle. This time, there is more to let in. As I have come to expect, the album starts off at a blistering pace - strident, confident opener Bag It Up; The Turning, with its gentle Dear Prudence outro and Waiting for the Rapture, Noel-sung with its Doors Five To One intro and Beatles Revolution cadence, grab the attention immediately. Noel is bullish about the inclusion of his vocals but often I'm keen to get past them to the real rock voice in the band, as evidenced on frenetic stomper single Shock of the Lightning and its crashing Zak Starkey drums. But now Liam writes songs too so that is the balance, the exchange. Noel's vocals for Liam's songs. They are like the parents arguing over the map in the car while Gem Archer and Andy Bell are the children in the back watching the front seat annoyance unfold. And then something surprising happens - Liam writes the sweetest, most charming song on the album, I'm Outta Time. Where this came from is anyone's guess. His live vocals might be a mixture of shouting, sneering, whisky and cigarettes but no-one can say Liam doesn't turn in some of the great rock vocals when it comes to the permanent record. This song is a real heartbreaker. To be unkind you might call it a Lennon pastiche. There's no attempt made to hide this - the song contains an Lennon interview sample from 1980. It's his love song to John, which has been coming for years. Frankly, Lennon would have been proud to have written it. Noel should watch out; especially since his next vocal (Get Off Your) High Horse Lady, with its Give Peace A Chance backing, marks the album's first average track. But then, at the point in the album where the songs traditionally start to sag, comes Falling Down - the final Noel sung song of the record and all is forgiven, all is returned, all is rescued. One can only be staggered by its power and beauty. Then, as I am used to, the album veers off course somewhat with a couple of poor tracks. The songs have a satisfying groove but aren't memorable - as songwriters, Gem and Andy, both former guitarists in their bands, Heavy Stereo and Ride, respectively, aren't quite there yet. On any other band's album they would be creditable entries but with the standard so high on Oasis records they don't pass muster. Still, the songs themselves are listenable for the music alone - with three guitarists in the band and no recognised bassist, as each of the three musicians swaps bass duties around, this certainly makes for an unusual atmosphere even on the songs that try too hard. It's a relief the band are able to move forward at all - without Gem and Andy, both excellent musicians, to drive the band along Oasis would be stuck in the mire, as they were before 2000 with game but hugely limited band members. Later track To Be Where There's Life might be melodically unmemorable but its sitar and bass driven hypnotic quality takes it home. With the previous band members it would have been a muddy dirge, this time they get dangerously close to a jam, no bad thing. Penultimate track The Nature of Reality is a skippable mess but the Tomorrow Never Knows reminiscent album closer, the Liam-penned Soldier On, takes the listener out on a high. Oasis have made a mature album. For any other British band, ok is good enough. I expect more, need more, demand more from Oasis. If they can build on it they might become the band I've always wanted them to be. I have waited what seems like forever. It's hard to imagine why, after being a fan for 14 years, since I heard their first single, I could possibly have waited this long to see Oasis play live. They are, after all, considered one of England's greatest live bands. Their gigs, whether they be in clubs, theatres, arenas or stadia, sell out instantly. Perhaps I was on some level wary of the kind of crowd I might encounter. I'd heard horror stories of drunken thugs punching strangers, throwing bottles of piss around venues, a rowdy violent atmosphere. They seem to attract the most base of audiences. In many ways their gigs are like being at a football match - but I love football, attending matches whenever I can, and over the last decade or so no band has meant more to me. Maybe there is no real reason why I had failed to see them play until last night. As a fan of many varied artists I find that only Oasis and Morrissey provoke the kind of blank hatred that I've been at the receiving end of recently. People really hate Oasis. For their shameless purloining, for their predictable musical style, for their unashamed arrogance. U2 aside, I often like bands who sell about eight records and are a well kept secret. Or bands who have long since ceased to be. Mainstream, the word and notion itself, is a profanity to me, pretentious as that is. But I just get this band and always have. I'm sure part of this is tied in with my dad, who gets them as I do. His record collection mostly contains artists no-one has ever heard of but, like me, Oasis are his concession to the mainstream. We get them together. Like our support of Man City, Oasis are our team. The football analogies hardly end there. The tribalism, the singalong, the joyful aggression were all there in spades last night. This band occupies an important part of the English psyche. This band matter to an entire generation in a way that no other English band of the last 30 years has. Their songs defined my teens and took me into my twenties. We support them like our football teams. As I have gotten older I think I have become more emotional. I couldn't help but be consumed by the occasion and I can honestly say I've never been so moved at a concert by the sheer force of those around me. Most bands who've made a few albums have built up their catalogue and the audience's mood goes up and down depending on the setlist choice, the pace of the show and the newer material. Everyone waits for songs they know, songs that grew up with them. But Oasis still make albums that matter to their audience - having been to many gigs like this I'm accustomed to the crowd taking a breather or a drinks break when the new songs get rolled out. Sure, the older songs - Slide Away, Rock N Roll Star, Morning Glory, The Masterplan, Lyla - provoked hysteria but it's a fair assumption that virtually everyone in the arena owns a copy of the new album and has already started to learn it. Previous albums have had too much filler and everyone knows it, as evidenced by the fairly muted reception to The Meaning of Soul from the last album. This time the new songs fitted in just perfectly - I'm Outta Time, Shock of the Lightning, Falling Down - and were welcomed like old friends. With Oasis, unlike any other band at this level, there is no show to speak of. There's some run of the mill lighting, four strip screens behind the band showing either them or nice enough, but not thrilling, psychedelic imagery. That's it. The songs sell the show, Noel knows they are strong enough to just stand there and blast it out. New drummer Chris Sharrock - former member of the Icicle Works, The La's and the Lightning Seeds - is perhaps the best drummer they've had. A combination of the complex but light touch of Alan White and the powerful but showy Zak Starkey, better suited to his current job in The Who, he played like he'd always been there even though he only made his debut in August. A guitarist on bass, Andy Bell, gives the band a live complexity they have never had but perhaps the unsung hero is the superb Gem Archer. You hear some solos and you think, Noel's playing great tonight. Then you realise it's Gem playing. Noel still seems a tiny bit subdued, not quite recovered from the broken ribs sustained in Toronto recently. But he's a tenacious, stubborn, determined man and didn't baulk from the business of his own vocals. He gave a tenderness to The Masterplan and Don't Look Back in Anger that reduced me to tears. Liam, on the other hand, is as he always is. Love him or hate him he provokes a reaction. He stalks the stage like a caged tiger, saying almost nothing intelligible to the audience but his voice was utterly perfect. He's all attitude and he gets on people's nerves. But greeted like a working class hero, the offspring of Lennon and Lydon, there's no-one quite like him. England has a dearth of pathetic wannabes fronting bands like the Kaiser Chiefs and Kasabian. 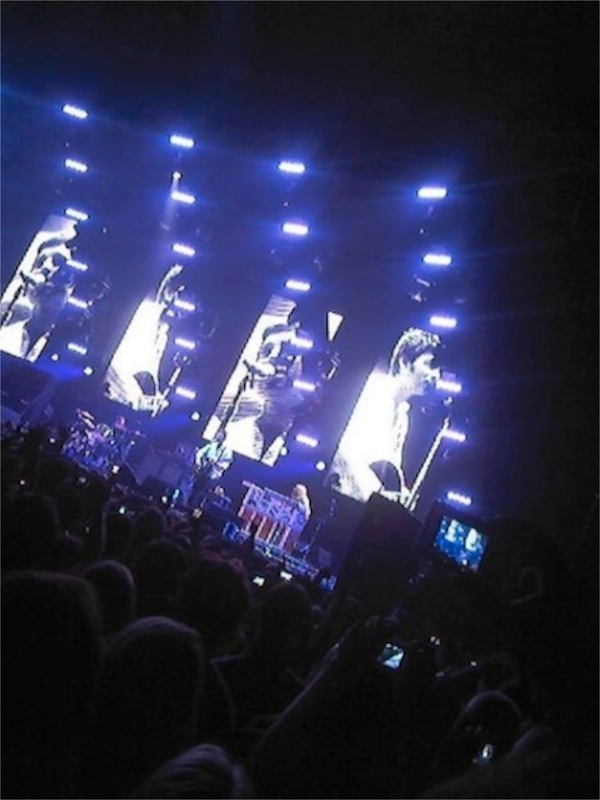 They worship Liam but they are mortals compared to him. He was born to do this. Well, this or robbing cars in Manchester. Each song was greeted like an old friend. On many occasions I stopped singing and just turned round to see every single human in the place with rapturous delight on their faces, singing their hearts out. It was the very best kind of communal concert experience. People swayed and linked arms to Wonderwall, jumped and barged and clung on to Cigarettes and Alcohol. I can forgive the slightly bizarre exclusion of Live Forever, even. As the house lights came on and the beaming, sweaty masses made their way out of the venue I felt like a pummeled piece of meat, tenderised by the silver hammer of this proud band. Aching and happy, I limped out of the venue as the exit music played. A final smile spread across my face as I realised it was our - mine, dad's and the Gallagher's - football team's anthem playing. Blue Moon. Oasis are my dirty, mainstream, secret. In the centre of my alphabetically arranged CD library of self-confessed musical snobbery lurks Nick Drake and Odetta - sandwiched between is the canon of, The Smiths aside, Manchester's finest band. I can't deny that the initial connection that spurred the beginning of my devotion to this band 15 years ago is linked to my genetic gift of football team. They are 'our band', between my Dad and I; just as City are our (and their) team. 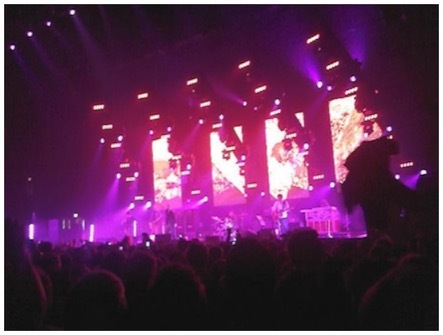 Despite this, being decidedly a person who seeks out neither endless amounts of booze nor the opportunity for a fight, I had not ventured into the football match atmosphere of an Oasis gig until last autumn at Wembley Arena. It had been a powerful, aggressive, emotional night and I had to see them in my hometown, in the muddy expanse of Heaton Park. I can see both sides. If you’re not on their track they’re arrogant, boorish oafs with derivative songs and embarrassingly simple lyrics. If you do get it, their songs puncture you, bringing either a full-throated joyous rejection of the constraints of conformity or tears to your eyes. This is your life’s soundtrack. As individuals, they are everyman, never changing into something you can’t identify with. Indeed, never changing at all. Oasis are your football team, if they scored 10 heavenly team goals in each game. But, in front of a hits-and-singles tolerant crowd covered in beer (and worse), it was hard to evaluate what it is that has set them apart. The sound swirled in the wind and the mostly drunk crowd sang each word above the sound of the band. What you can surmise is that this band knows what they are doing when they deliver a concert experience to their crowd, a group always on the edge of hugging or having a fight. The setlist was well chosen, drawn mostly from their first two and most recent albums. Now with Gem Archer (Heavy Stereo), Andy Bell (Ride, Hurricane #1), Chris Sharrock (Lightning Seeds, Robbie Williams) and Jay Darlington (Kula Shaker) on board, the Mancs have assembled a fairly accomplished and well travelled set of musicians. As a result they have moved beyond the plodding, limited, rock they were guilty of a decade or so ago. Noel has, in a Pete Townshend style, now constructed himself as the leader. Liam is effortless; behaving as if he were a singer with a lesser ego, seemingly happy to saunter on and off stage, allowing Noel what must now be termed as co-lead singer duties. But a reminder of what Noel can never achieve comes in the form of Wonderwall, which the elder Gallagher used to sing live. Now wrestled back into Liam’s domain it becomes the song that it was originally and the song that it’s meant to be. In some ways the show seems like a glorified sing-along, but there is a joy in being surrounded by smiling faces celebrating these unbeatable songs. Oasis occupy a unique place in the English psyche. The songs speak of freedom and it's something that mid teens to mid 30s, strive to feel. By coming along and singing, letting it out, it means everything. Like winning the weekend match, it makes work bearable on Monday. There’s no greater secret to it and no-one does it better. Watching the fairly average Kasabian before the main event only compounded it. They’re not bad, exactly. They do have three or four good songs. They’re just not as good as they think they are and their arrogance, somehow charming when Oasis employ it, is wearing. Against a lesser band Kasabian might seem to have something to offer. Last night it was, well, like watching United play Barcelona. Outclassed.